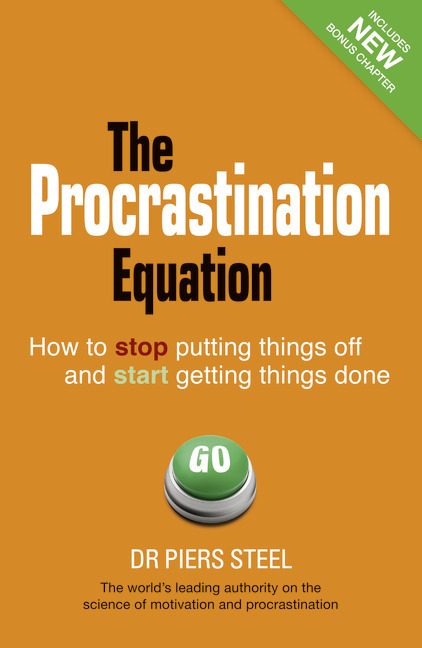 In this groundbreaking book, the worlds leading expert on procrastination, Dr Piers Steel, reveals the truth about why procrastinate  and shows us what we can do about it. Using a powerful mix of psychology, science, self-help, and a decade of his own research, Dr Steel shows us what effect procrastination has on our lives, and offers real hope to sufferers everywhere. New to this revised edition, Dr Steel shows exactly how to apply the techniques in common problem areas, resulting in a step-by-step procrastination busting guide for work, money matters and losing weight.